Cucumbers are one of the easiest, low-maintenance vegetables to grow and that is why I choose them for my garden. Year after year I plant them not thinking twice about anything other than the time of year. This year, after reading the following articles, I am reaping the benefits. Below, I called out advice from each article I was able to find success. Both offered plenty of support and information, so I highly recommend giving each a read. 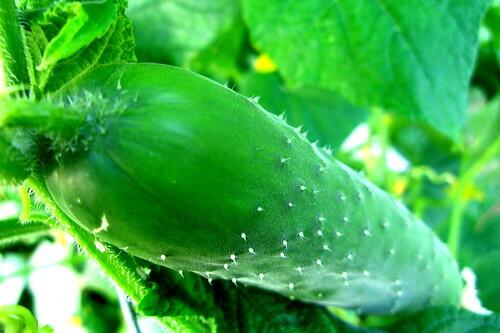 In Vegetable Garden Ideas article, “How to Grow Cucumbers,” I found the following tips. Now that summer has transitioned in to fall I will be repeating the same precautionary steps to be sure next year’s cucumber harvest is just as plentiful. Especially sending in my samples of soil to determining the pH, organic matter, and checking the contents of my fertilizer. Although the last frost of the year is a ways away, I will be ready to plant after it comes and goes. For testing your soil click here.